It has been nearly a year since South Dakota medicine reached a major milestone when Avera Transplant Institute performed the region’s first-ever liver transplant in Sioux Falls. 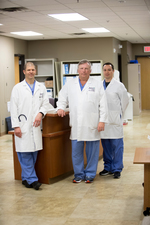 Since that time, Avera surgeons have performed seven life-saving liver transplants in the culmination of an evolution that began in 1993 with the region’s first kidney transplant. Avera Transplant Institute has also established the region’s only pancreas and bone marrow transplant programs. 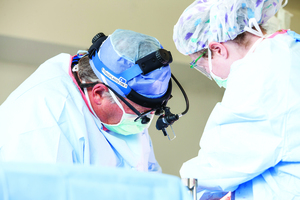 In total, they have performed more than 1,000 transplant operations. Over the course of time, Steers says, Avera developed an extensive hepatology program, including four full-time hepatologists. As the number of patients with cirrhosis and end-stage liver disease grew, so did the number of physicians and allied health professionals needed to support them. The program’s integrated team now includes nurses, surgeons, anesthesia and critical care specialists, pathologists, nephrologists, and others - all with expertise in the special care of liver patients. Liver transplantation was the natural next step. With the team in place, the requirements met for active statue with the United Network for Organ Sharing, and the administration firmly on board, Steers says the only thing now standing in the way of the program’s continued growth is the availability of donor livers. LifeSource, the region’s organ procurement organization, does well in this altruistic part of the country, but organs are shared over a large multi-state area and there are never enough to meet the need. Seeing these sicker patients safely through a transplant operation can be especially challenging. Even so, all of Avera’s liver transplant patients have done well, to date, reflecting a national trend. Nationwide, there is now an 80 to 90 percent survival rate a year after liver implant, compared to just 60 percent in the 1990s. Living donor livers might help them get there. Living donor liver donation involves removing a portion of the liver from the donor and transplanting it into the patient whose liver has failed. But there is a downside. While the risk associated with living donor kidney donation has dropped steadily, thanks to minimally invasive techniques, the risk of living donor liver transplantation is much higher, for both recipient and donor. Another option may be a liver support device, now in development. The machine would contain liver cells and may have the potential to help keep patients alive while waiting for a transplant or may support people whose livers could recover without a transplant. Steers say such a device might even be an alternative to transplantation for people who are not good candidates, and he is hopeful that Avera could be involved in any clinical trials.